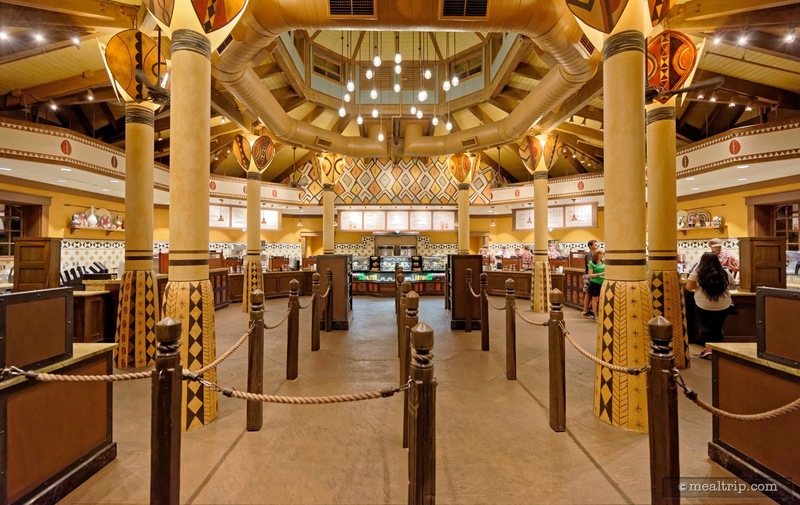 The Creature Comforts - Starbucks listing is a Grab-and-Go Counter dining location at Animal Kingdom featuring Coffee Shop Cuisine cuisine. There are 8 photos in the Mealtrip photo gallery for this location and dining period. 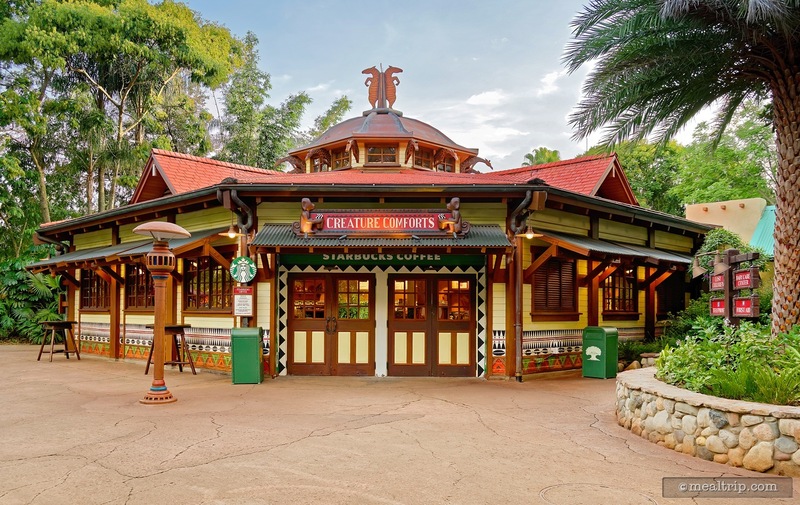 The Creature Comforts - Starbucks listing currently has a score of out of 100. 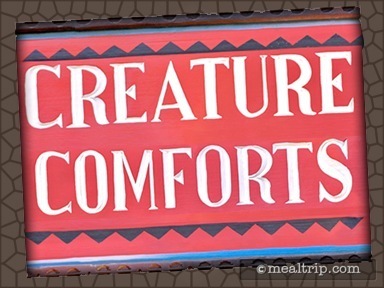 Click here to read all of the reviews for this location, or log in to Mealtrip.com to add your own review for Creature Comforts - Starbucks. Monkeys with coffee cups! Ha!!! 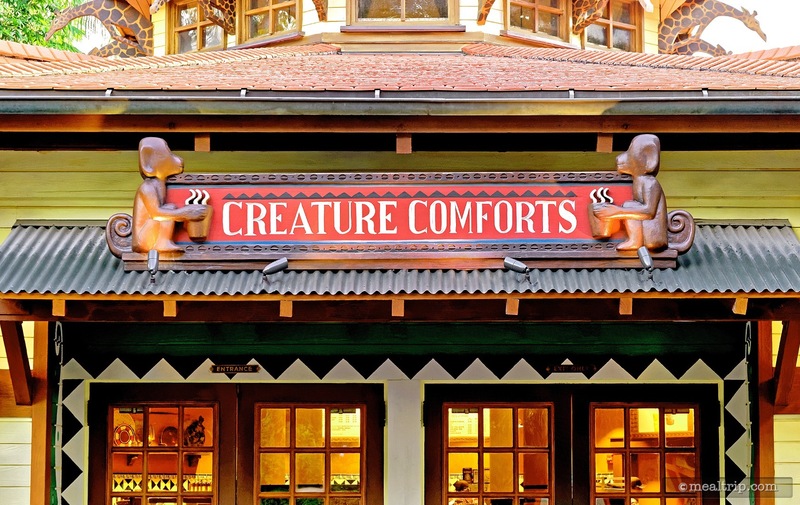 The Creature Comforts sign above Animal Kingdom's Starbucks location. 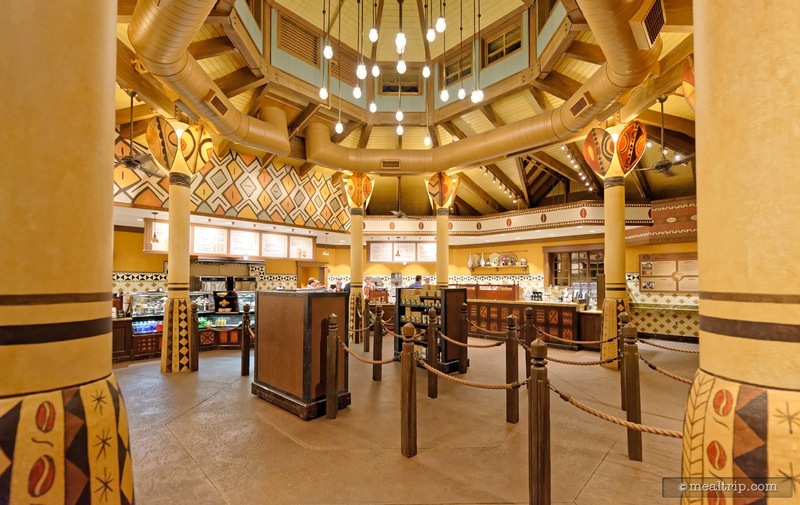 The Creature Comforts coffee and baked goods shop inside Animal Kingdom. When busy, the "Creature Comforts" Starbucks has two "sides" basically. At some point, you'll have to decide to go right or left (both side have identical offerings). When not busy, only one side will be open. This photo was taken from the east side of Creature Comforts, looking at what you might call the "right side" order area. Here's a closer look at the west side order area. 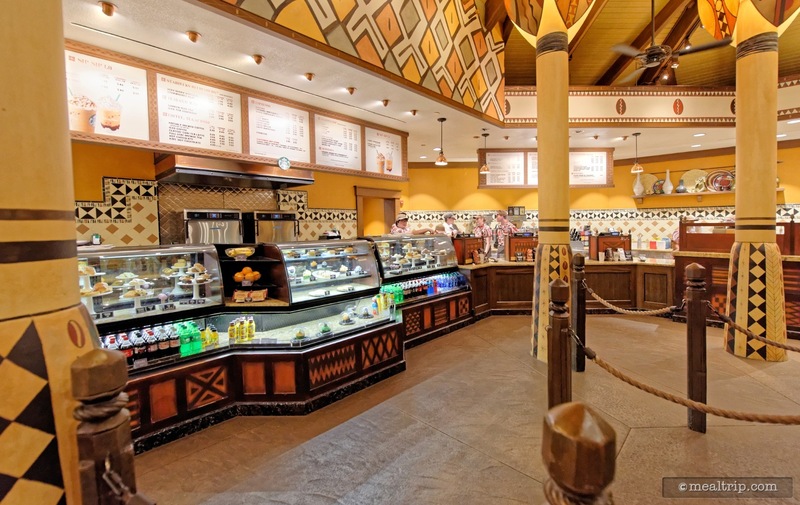 There's actually quite a bit of room for looking at pastries and whatnot, before you get to the "beverage order placing" area. 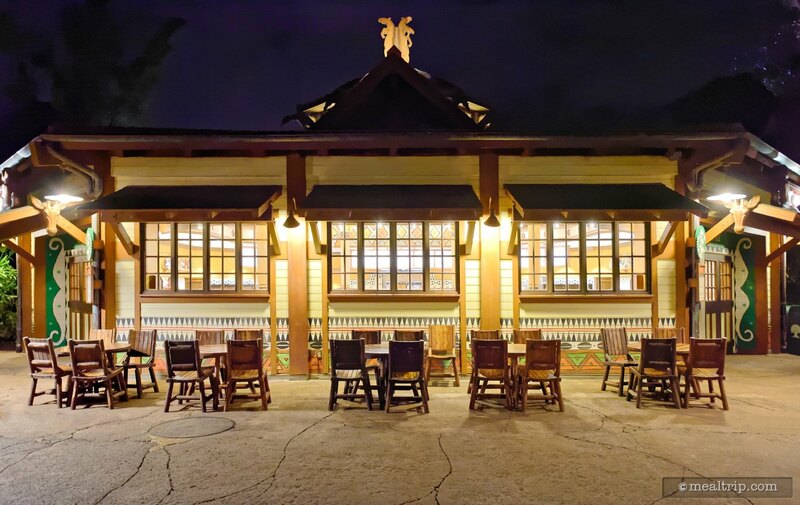 The only Mermaid you will find at Animal Kingdom. 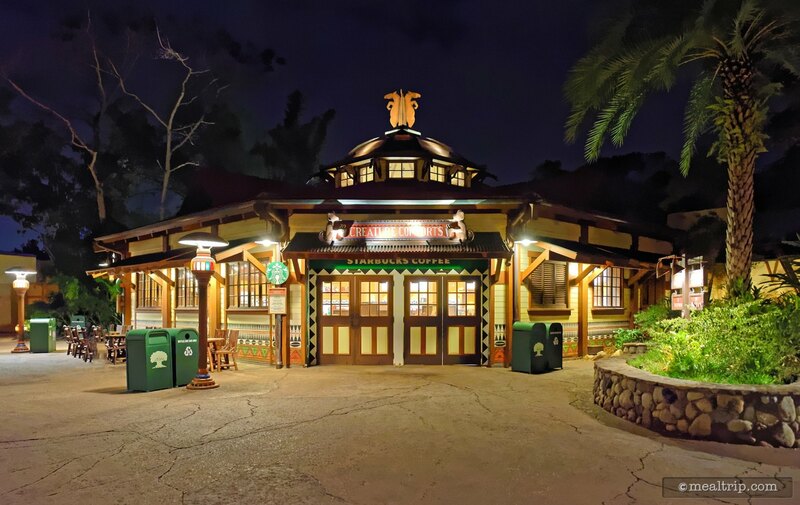 The Creature Comforts building at night. There is some limited seating outside of Creature Comforts. In the evening, it's a great place to sit and watch the crowd go by. By day, it gets a little warm. There's no cover from the sun here.